You should not miss the chance to visit Brunei! Nestled in the north of the island of Borneo, this country is often defined by its harmonious mix of cultures such as Chinese, Malaysian, and Indigenous. Brunei is a portal to enjoy both the beauty of the Asian rainforest and to experience a getaway in Ulu Temburong National Park. 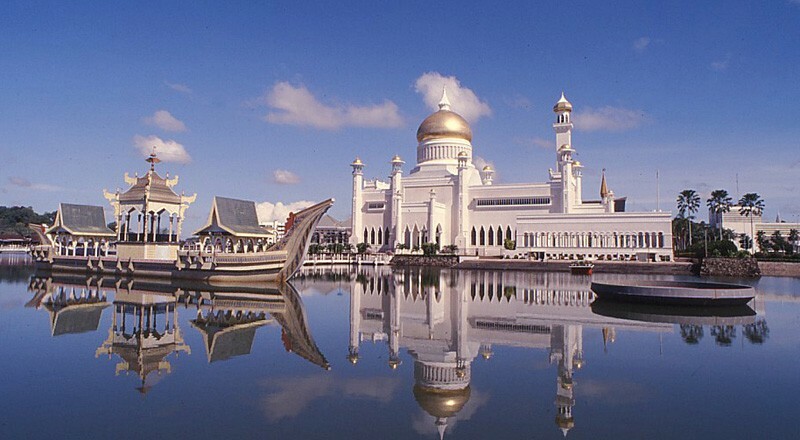 You will continue to be suprised by taking a trip to the capital Bandar Seri Begawan, famous for its lavish mosque adorned with high minarets and golden cupolas. The seashore along the Southern Chinese coast proves a tranquil environment, perfect for lounging in the sun. For an authentic experience, make sure to discover the rural villages by boat. In order to experience the luscious vegetation, try to visit Brunei in February to mid-April. Last Updated: April 03, 2019 13:00 ESTThe Health tab was updated - travel health information (Public Health Agency of Canada). In Brunei, it is possible to access basic medical care of good quality, despite the country still suffering from lack of medical supplies. Rest assured that most doctors have completed their training in western countries such as the United Kingdom, Australia or New Zealand. There are four public hospitals throughout the country. The main one is Raja Isteri Pengiran Anak Saleha Hospital (RIPAS), which offers specialized services and ambulatory emergency care. The other three are private, including Jerudong Park Medical Center, Borneo Clinic and Hart Medical Clinic. In order to access medicines, it is possible to use one of the 24 pharmaceutical services available in the country. To request ambulance services in Brunei, dial 991. Is Brunei Darussalam Safe for Travel? Do I Need a Visa to Visit Brunei Darussalam? Only a passport is required to enter Brunei Darussalam for trips under 14 days. The passport must be valid for at least six months beyond the date of departure. Longer trips, as well as business and student trips, require a visa.